WE VALUE our clients, as we provide services aimed to satisfy your demands. Organic Standard was included in the official list of recognized certification bodies in European Union and in Switzerland. This means that we have a unique opportunity to suggest you the simplified procedure of export of organic products to EU countries. 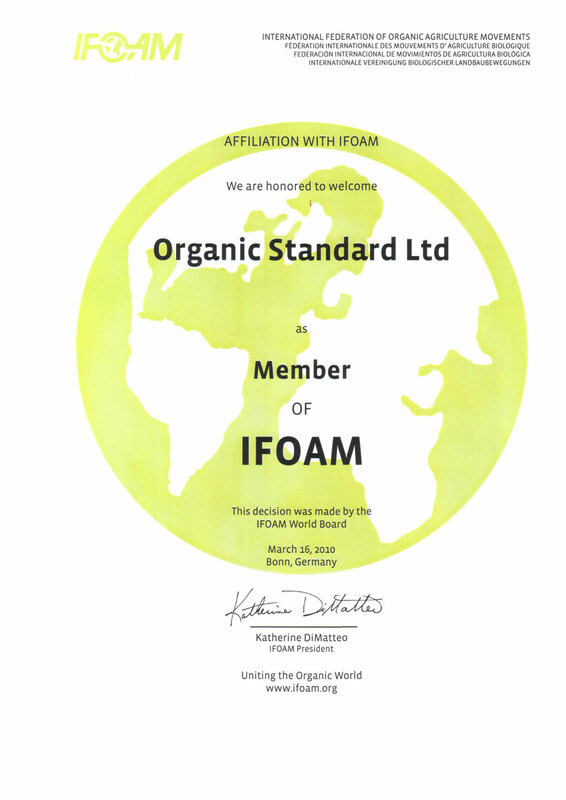 At the same time, membership in the European Organic Certifiers Council - EOCC and in the International Federation of Agriculture Movement – IFOAM – allow us to improve and develop our skills constantly. WE RESPECT our partners, as we realize our responsibility for appropriate fulfillment of all the obligations. Organic Standard collaborates closely with the world leaders in organic certification that expands greatly the possibilities for our clients on the international market for high-quality products. WE CARE about consumers health, as we guarantee them professional control of the organic quality of products. 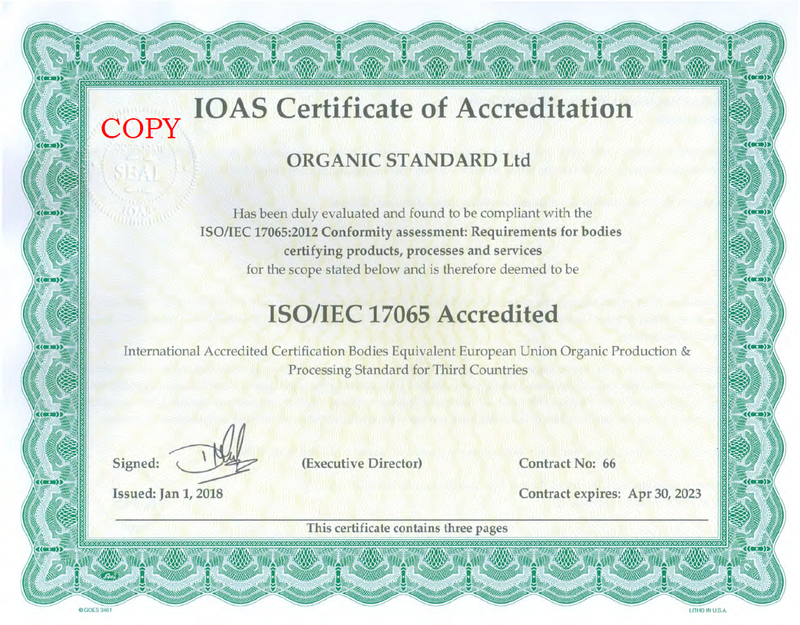 Our professionalism and competence are confirmed by the accreditation of International organization IOAS according to ISO/IEC 170-65.